Quality, hospitality and magic are our “promise”. Your most beautiful day will be as you always imagined it: perfect and exciting. Masseria San Nicola offers an elegant location where you can enjoy your wedding reception. Organize a big party, with an impeccable Wedding Planner service. Setting up, lights, flowers, everything will find perfect harmony. 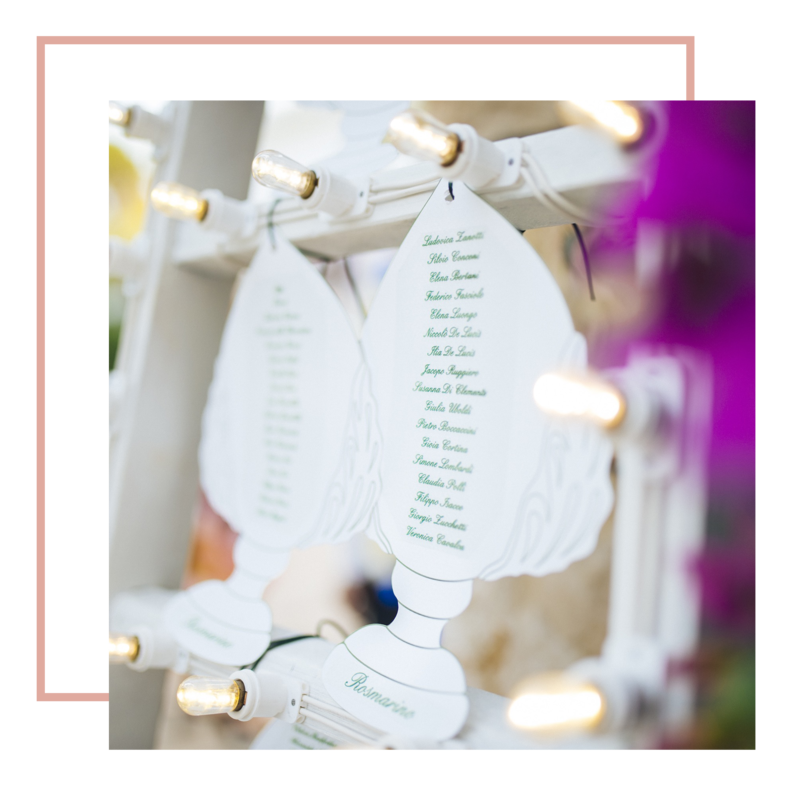 Each menu can be customized to best meet the needs of the couple. The banqueting service is able to amaze all expectations thanks to the care, creativity and quality of our work team. 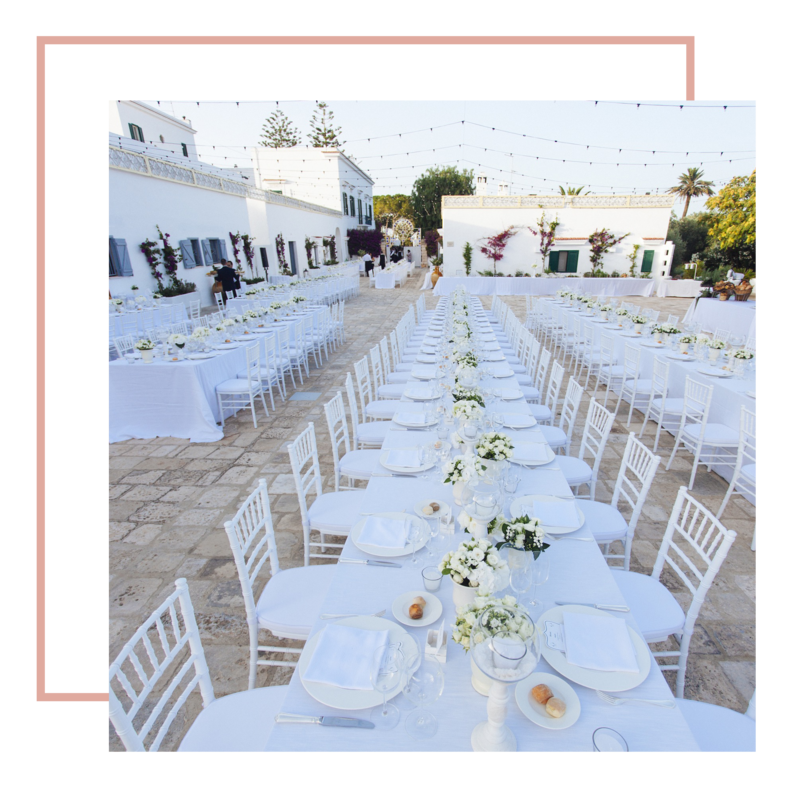 Tradition and modernity perfectly merge in the Masseria, offering guests the ideal location for weddings and special events. You will find Francesca and her staff to welcome and assist you in organizing your special day. Thanks to the experience gained over several years, we will be at your disposal both in organizing the event and advising you on the best ideas to make your wedding exclusive. From the location, to the catering, to the preparations and up to what is necessary to make a unique and unforgettable event. 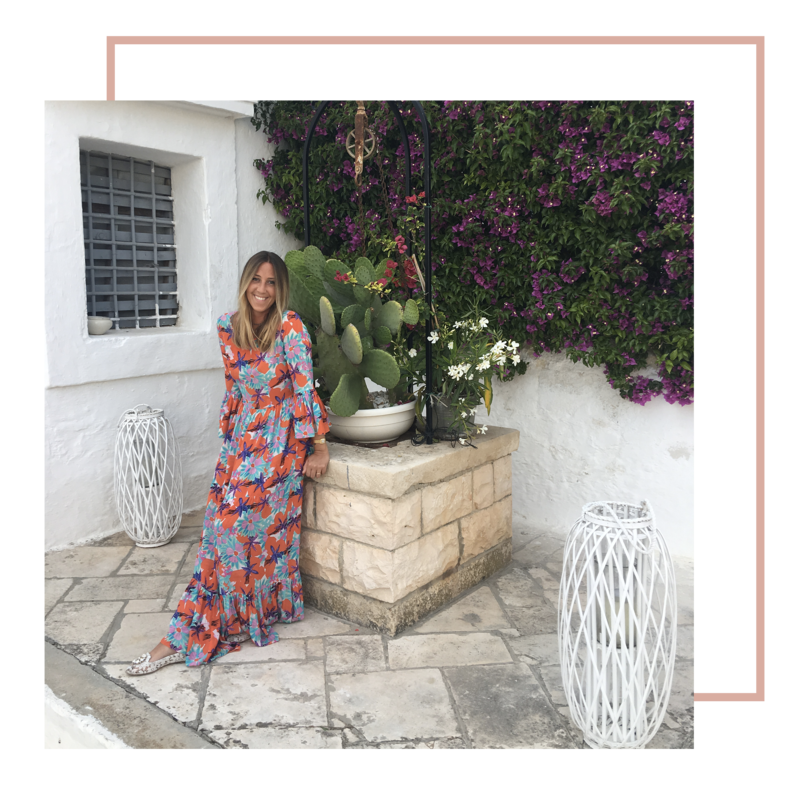 Masseria San Nicola is the place where every dream becomes reality. For your wedding list, Masseria San Nicola, recommends Lella Longari Home Milano.